We all have days where nothing goes as we hoped and things seem to come at us from every direction. 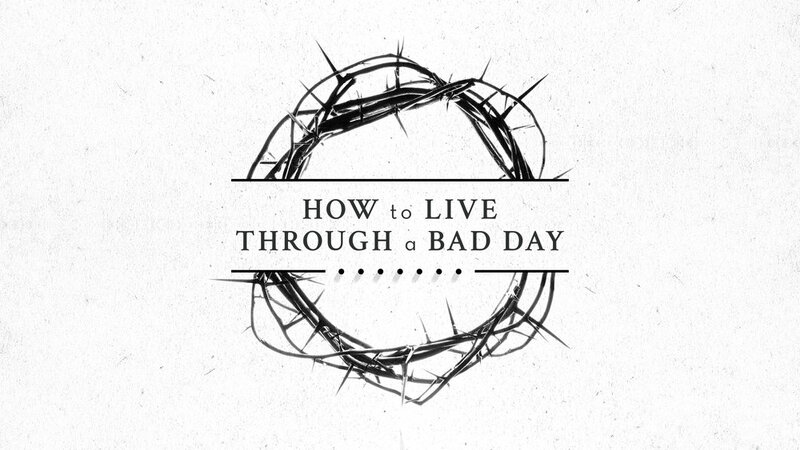 Join us for a series that looks at the example Jesus gave us for how to live through a bad day. Pastor Jenni kicks off our new series "How to live through a bad day" by diving into one of the last statements Jesus made as He died on the cross. By looking at how Jesus was able to forgive His enemies, we can learn how to forgive those trying to ruin our life! In this message, Pastor Danny looks at the second statement that Jesus made while on the cross and we learn the power of helping others even when we are in the midst of a struggle. This message is perfect if you are walking through a painful season. God bless you and thank you for joining us! In this message, Pastor Jamie looks at Jesus' instructions for John to take care of his mother while He was hanging on the cross. Join us as we study His example and end the cycle of hurting the people around us when we're going through a bad day. In this message, Pastor Danny looks at Jesus' worst day and explores the question that Jesus' asked when He hung on the cross. If you are moving through a season of pain or struggle, this message is going to be relevant and helpful. Listen in and be encouraged. In this message, Pastor Danny preaches on the 5th of Jesus' statements that He uttered on the cross: I am thirsty. We all have seasons in our life that bring us to the point of needing others. This doesn't make us weak, it makes us human. This message will encourage you and inspire you in your journey with Christ. In this message, we look at the 6th of Jesus' statements on the cross. By studying His example, we learn how to hold onto assurance that there is both an end and a purpose to our seasons of struggle. In this message, Danny concludes our series on the 7 statements of Jesus on the cross. Jesus phrase "Father, into your hands I commit my spirit" has personal application for us as we trust the Lord with our whole life. Listen and be encouraged!